This one is from 1095 and is 8" overall with a 4 1/4" blade. 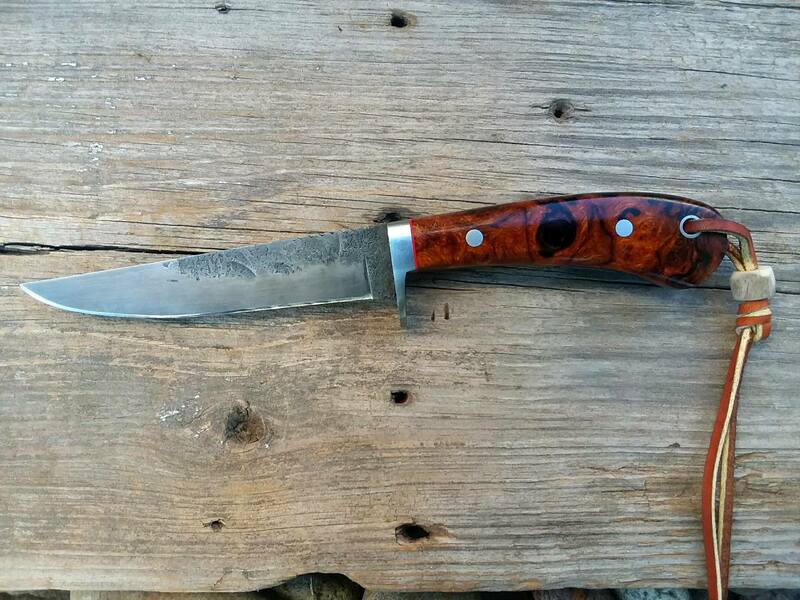 It has a stainless guard and ironwood scales with red liners. I'm very pleased with the figure in the ironwood on this one, It's probably one of my favorites to date just because of it's functional size and figure in the ironwood scales. beautiful figure in the wood and I'm with you on the practical handy size. Just a really nice knife. Great job Caley! 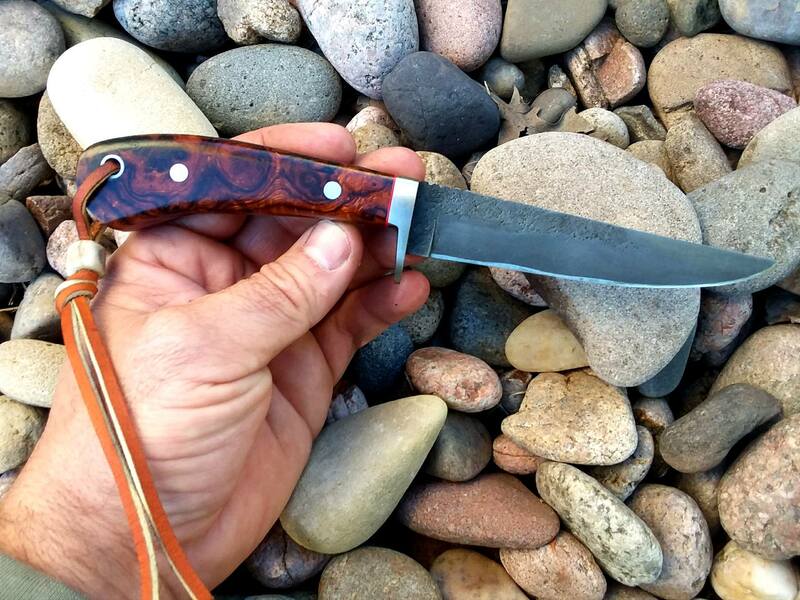 like the lines of the knife and that Ironwood is awesome. I think that's your best looking knife yet, like it a lot.